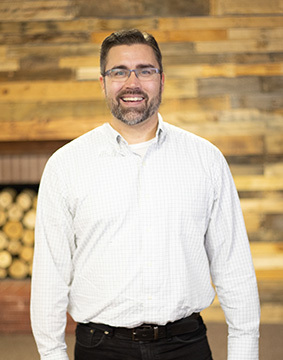 Prior to joining Palmetto Baptist Church Josh served as Lead Pastor of Community Baptist Church in Minnesota for 5 years, as well as 12 years as Associate Pastor prior to becoming the lead pastor. Josh is the Founder/Executive Director of the Biblical Counseling Alliance which serves to produce resources and online instruction in the area of Biblical Discipleship/Counseling. Josh is a certified Biblical Counselor through the Association of Certified Biblical Counselors and Association of Biblical Counseling. He is also currently in the midst of becoming an ACBC certified Fellow to aid in continuing to equip others in Biblical Discipleship/Counseling. Josh is currently finishing a Doctor of Ministries in Biblical Counseling from Southern Baptist Theological Seminary. He also holds a BA in Youth ministries and Information Technology from Pillsbury Baptist Bible College, an MA in Biblical Counseling and an MDiv from Central Baptist Theological Seminary. Josh and His wife, Michelle have been married for 19 years and blessed with five wonderful children (3 Girls, 2 Boys).